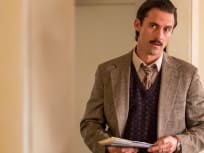 On This Is Us Season 3 Episode 18, Randall and Beth consider how to move forward while Zoe and Kevin look after Tess and Annie and Rebecca helps with baby Jack. 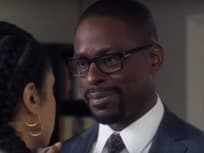 On This Is Us Season 3 Episode 17, with their marriage on the line, Randall and Beth review their history and how they got to this point in their relationship. 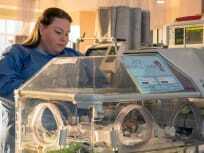 On This Is Us Season 3 Episode 16, Beth and Randall find their new normal, Kate and Toby spend time with baby Jack and Zoe and Kevin work on their relationship. 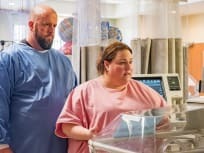 On This Is Us Season 3 Episode 15, tensions run high when the Pearsons camp out in the hospital waiting room to await news about Kate's pregnancy. On This Is Us Season 3 Episode 14, Randall gets unexpected news about Deja, Kevin keeps a secret from Zoe, and in the past, the big three graduate high school. On This Is Us Season 3 Episode 13, Beth takes a trip home in order to care for her injured mother ends up sparking some unexpected realizations. On This Is Us Season 3 Episode 12, Randall and Kate reflect on their differing memories of their childhood while Kevin does his best to help Nicky. On This Is Us Season 3 Episode 10, Kate and Toby get ready for the baby, Kevin meets someone from Zoe's past, and Randall's campaign comes to an end. 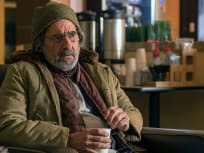 On This Is Us Season 3 Episode 9, Randall debates Councilman Solomon Brow, Kevin arrives at the Ville his father served in, and Kate pursues a new opportunity.